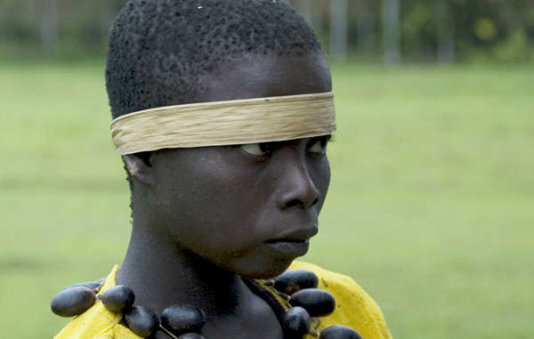 Just weeks after Survival launched its tourism boycott of India’s Andaman Islands to protest the degrading ‘human safaris’ to the Jarawa tribe, the campaign has gained traction as travel companies join the boycott and thousands pledge not to visit. Following worldwide media coverage, (The Hindu, The Telegraph, International Business Times) over two thousand people have pledged not to visit the islands until 'human safari' tours are stopped. Travelpickr, a global company based in Canada and India, and Spanish company Orixà Viatges are the first operators to withdraw from offering tours to the Andamans, and Survival is lobbying many more. Spanish travel agency Orixà Viatges said, ‘We have removed the Andaman Islands from our list of tourist destinations. At Orixà Viatges we don’t understand this kind of tourism – we believe that people and cultures should be treated with respect, rather than used by unscrupulous people making a profit out of ‘human safaris’. Hundreds of tourists, the majority from India, Israel, America and Britain, travel daily along a road which runs through the Jarawa, hoping to spot a member of the 400-strong Jarawa tribe, whose ancestors are thought to have been part of the first human migration out of Africa, viewing them like animals wild-life park. The ‘human safaris’ have been condemned by the United Nations and India’s Minister for Tribal Affairs, who called them ‘disgraceful’ and ‘an embarrassment’, and thousands of letters have been sent to the Indian government asking for the tours to be stopped. But despite an Indian Supreme Court ruling in January 2013 which temporarily stopped tourists from traveling along the road, the Andaman administration has done everything in its means to keep the road open to tourists – even changing its own rules on a buffer zone to enable the ‘human safaris’ to continue. Survival will continue to call for a full boycott of tourism to the Andaman Islands until its demands of removing tourists from the road through the Jarawa reserve are met.